We would like to share with our larger audience the latest installment of The Sharp Financial Group's monthly client infographic. "As we turn the corner into Q4 and get ready to enter the holiday season, its important to take some time in between family dinners and gift giving to reflect on those less fortunate. 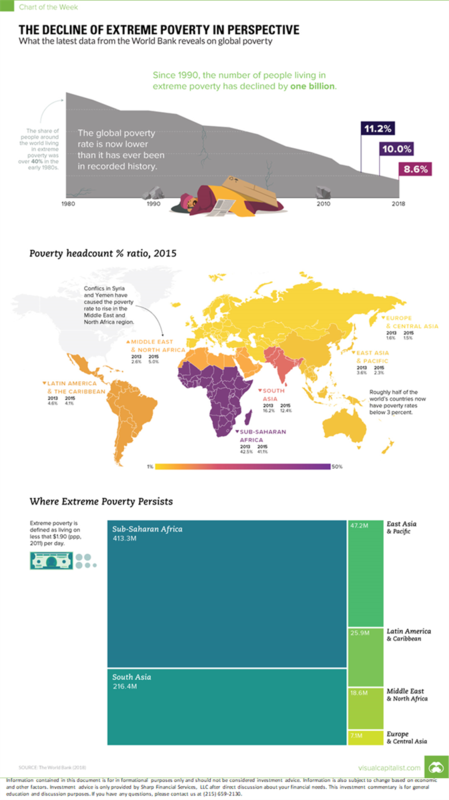 We thought it would be appropriate to utilize this month’s infographic to demonstrate the positive trajectory of the decline in global extreme poverty, in an effort to keep charity at the forefront of our collective minds so progress on this issue continues unabated. As always we highlight the tremendous work by Visual Capitalist in bringing this data 'alive'. The team at Sharp wishes you and your families a prosperous fourth quarter."